Home ♦ Cose da fare a Roma ♦ Valentine’s day in Rome, more fascinating than ever! Valentine’s day in Rome, more fascinating than ever! No Comments on Valentine’s day in Rome, more fascinating than ever! Missing less and less for one of the most magical nights of the year, the night of lovers. Cupid,with his arrows, is ready to pierce through your heart, in one of the most fascinating and romantic cities of the world. Valentine’s Day in Rome, the perfect opportunity to spend a perfect evening. The celebration of a festivity based on the exchange of love messages and gifts between lovers, can become the right occasion to take advantage of the lowest prices of the year and to treat yourself with an unforgettable experience at an ideal price. Let’s see what are our tips to spend a memorable Valentine’s day. 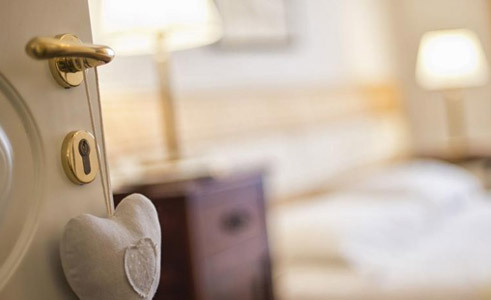 The first advantage in spending Valentine’s Day in Rome for one or more nights is to enjoy the magic of the city at the lowest prices of the year. Choose the right neighborhood to visit a big city is not always an easy choice, our advice is to choose the central districts such as the Prati district, one of St. Peter’s Basilica. This middle-class neighborhood, quiet, full of great restaurants, bistros, wine bars and historical offers a range of comfortable facilities at great price. The location, adjacent to the old town, makes it really special: In 10 minutes, guests will reach the Spanish Steps and Piazza Navona, is also home to the St. Peter’s Basilica and Castel Sant’Angelo with its gardens. What’s more, starting from this neighborhood, the historic center can be reached through some of the most beautiful and famous bridges in Rome. Do not overlook other opportunities to the historic center or in the immediately adjacent neighborhoods to the center, well served by transport and very close to the Metro stations with which you can reach the best points of the city in minutes. In the true heart of the historic center of Rome , in a beautiful building of 1600, with a unique atmosphere and view from here you can walk, in a few minutes, to all the places and the most famous and important monuments. B&B Le Sibille is located in the Vatican area and adjacent to the historical center at only 150 meters from the Metro CYPRUS and the Vatican Museums, elegantly decorated quiet rooms, with TV LED, air conditioning, free WIFI. 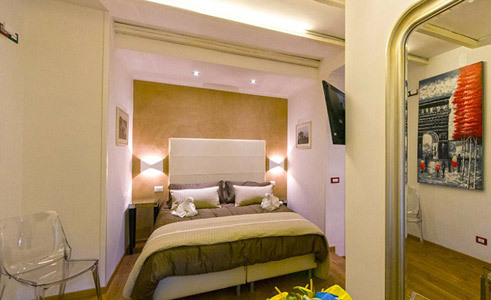 B&B located in the Old Town , artistic and commercial center of Rome, 5 minutes from the noble Via Veneto. Due to its unique location is a great place to enjoy the city on foot through streets upscale shopping, restaurants and bars. Easy to reach: Piazza Barberini, the Spanish Steps and Trevi Fountain. 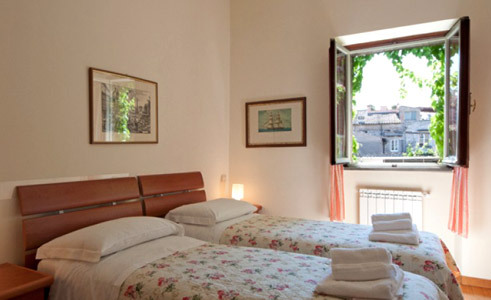 Marta Guest House is strategically located in the heart of Rome between Piazza Navona, St. Peter's Basilica (Vatican) and Piazza di Spagna, a few steps from Castel Sant Angelo and other sites historical, Campo dei Fiori, Trastevere, almost everything on foot! 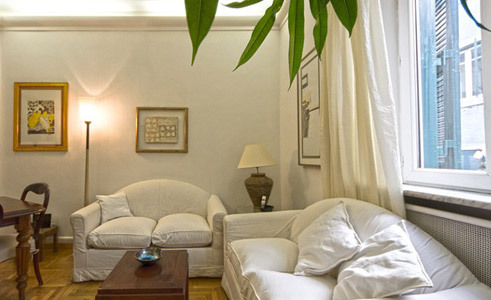 Nuna St. Peter's Home is a family suite in the heart of the Eternal City located in a very quiet building, just steps from San Pietro and Castel Sant'Angelo in the shopping streets of Prati and the spirituality of the historic district Borgo Pio. 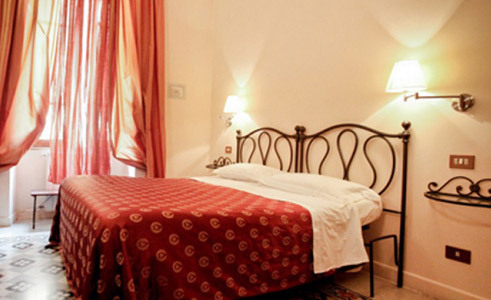 Tolentino Suites is in the historical center a short walk from Trevi Fountain in a aristocatic palace of '800 and has precious furniture and large beamed ceilings and rooms with all modern amenities, atmosphere warm, cozy and romantic .. The Pincio. The biggest green area in central Rome inside Villa Borghese, located on the top the Pincian hill. So it’s possible to walk inside this beautiful park, hand in hand and once you get to the terrace overlooking Piazza del Popolo, just sit and enjoy the view. Il Gianicolo. Traditional place of encounter between the lovers, not to be missed at sunset, which offers a spectacular view of Rome. In the area there are also restaurants and bars. The Zodiaco. Located on top of the hill of Monte Mario close to the Waldorf Cavalieri Hotel where it’s possible to enjoy the most gorgeous view of the whole city, across the town -west to east- taking a cup of coffee or a tea. La Pergola. On top of the hill of Monte Mario, on top of the Waldorf Rome Cavalieri hotel, one of the most expensive restaurant in Rome where it’s possible to enjoy at dinner the wonderful and the romantic lights of Rome by night! 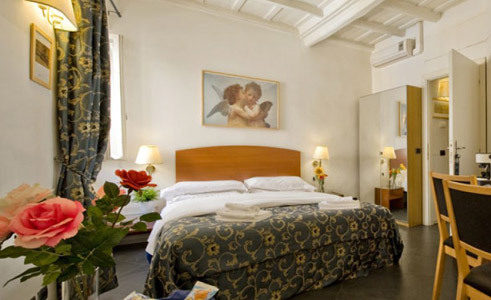 Take advantage of the Bed and Breakfast Rome Service for February and St Valentine’s days , the period at the lowest tates of the year to spend an unforgettable holiday in Rome! Three days at museums in Rome!